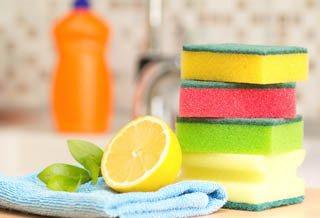 Forte Cleaning provides house cleaning and residential housekeeping services. We offer routine or single occurrence cleaning, as well as move-ins/move-outs and deep cleaning services. At Forte Cleaning creating clean houses are our priority. We are located in Palatine, Illinois and deliver personalized cleaning services to Arlington Heights, Schaumburg, Buffalo Grove, Barrington, Lake Zurich and surrounding areas. Whether you want sparkling bathrooms or shiny floors just call us for your Palatine area residential cleaning needs. Our company expands mainly by references from satisfied costumers and our reputation is based on effective cleaning services. Call us at 847-907-0287 or contact us for residential cleaning rates and scheduling. New Customers : Mention code FORTE and get discount on your first cleaning.